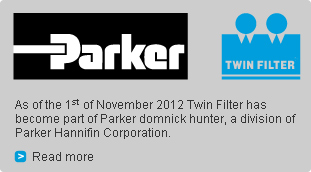 Twin Filter, one of the worlds leaders in filtration equipment and consumables for air-, gas- and liquid filtration became part of Parker domnick hunter, a division within the Parker Hannifin Corporation, as of the 1st of November 2012. 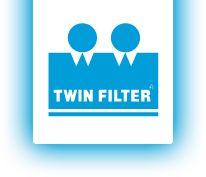 With this aquisition our network of sales offices and production facilities has expanded to all over the world. From 1st of May 2015 all sales activities are integrated into Parker Hannfin B.V. We have a strong focus on the quality of our products, the environment and our working conditions. And because of this we received the highly recommended ISO 9001 and 14001 certificates. As of May 1st 2015, all sales activities will be integrated into the Parker Hannifin Netherlands sales organization and therefore all customer orders should be directed to Parker Hannifin BV. Please click to read more!